Thanks to the recent upsurge of marijuana reform in many states there are now more ways than ever to use marijuana. Both through medical and recreational means. Electronic cigarettes are now a commonly used method of smoking cannabis oils, while some have converted the substance to capsules. Edibles and beverages also make up part of the marijuana menu these days. Just when you thought it couldn’t get any more diverse, a new product emerges- the cannabis inhaler! The world’s first-ever cannabis inhaler is starting to make its way to mainstream markets. The name of the first official brand of cannabis inhaler is Vapen Clear, and they claim there is nothing else out there like it. The Vapen Clear title product looks like a typical asthma inhaler. The product is also used in the same way too. The difference is Vapen Clear isn’t loaded with the medicine albuterol. The makers of the cannabis inhaler also point out the aspects of their product that sets it apart from other marijuana accessories. With the vaporizer pens that have become increasingly popular the device heats the contents in order to create smoke. With the Vapen Clear the makers say it doesn’t heat the THC. Instead, the cannabis inhaler uses a propellant to blast the “medicine” directly into the lungs. This would probably make the most sense for the individuals who are trying to use marijuana for medicinal purposes. Some people want to avoid the smoke entirely, and it can’t be good for you anyway. The “Daytime” inhaler comes with THC from a Sativa strain, because they claim Sativa marijuana produces energy. The “Nighttime” inhaler comes with an Indica strain to provide a more mellowing effect. The “Afternoon” inhaler is described to provide a more steady feeling from a hybrid (blended strain) of the two. As enterprises involved in the expanded market of legalized marijuana evolve, there is sure to be more and more developments such as this to expose a wider population to various means of marijuana consumption. The only question is, is this necessarily a good thing for everyone? While there is a fair amount of support for the progression of marijuana reform, especially for medical reasons, there is still a fair amount of risk involved. For one, does it make it easier for the drug to be abused? Not only does the design keep it discrete for those who might have legitimate access to it, but also for those who do not. Then, with the new method of administration, will there be an increase chances of abuse? Also, with this new method of consumption, could there be unforeseen health risks? With any drug there are risks, even if there is a movement to legalize and de-stigmatize marijuana. Marijuana may not be considered as dangerous as heroin or other illicit narcotics, but to addicts a drug is a drug. 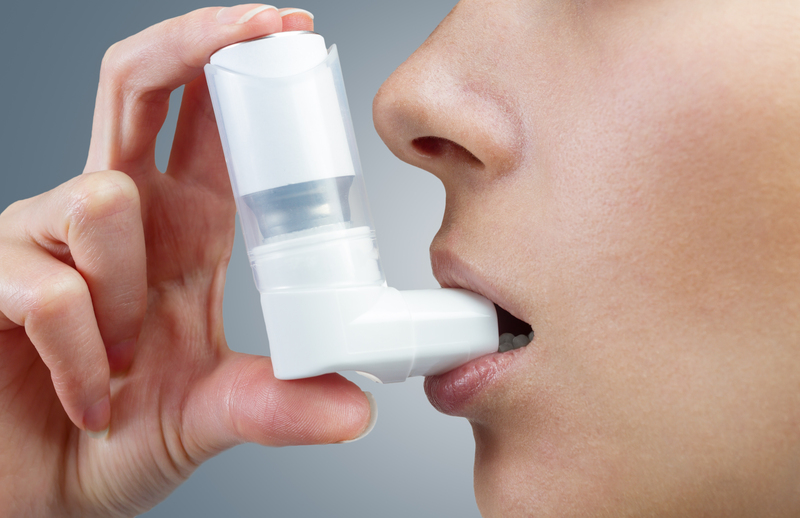 Could there be an adverse impact resulting from this new cannabis inhaler? Is this new device a piece of drug-abuse-enabling technology? Any substance can be abused and develop into an addiction, even marijuana. If you are struggling with marijuana addiction, do not hesitate to get help today. You are not alone! If you or someone you love is struggling with substance abuse or addiction, please call now.